Home / business process outsourcing / Should You Opt for Virtual Call Center for Your Business? Should You Opt for Virtual Call Center for Your Business? Most of the US customers who call up a customer support center asking for help hear a slightly accented voice from an Anglicized name. This is the age of virtual call centers where the agents of a company could be spread far and wide and in various geographies of the world. There is no doubt about the qualities of such agents, most of them are immensely experienced and perform capably without slightest need for training. By opting for virtual agents, companies can save a lot of dollars. They can save all the money that would go into maintaining a brick and mortar space for agents to sit and work. Moreover, maintaining an internal team needs training and other perks. All these hassles can be saved by using the virtual model. From the customers’ point of view, most of the callers do not decipher the small difference between the fluent American accent and the slightly accented tone of the virtual agents. The American names assumed by the agents also play their part in assuring the customers that they are talking to a person who is actually sitting in the US. 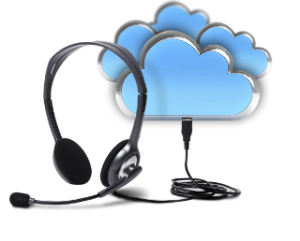 Virtual call centers have taken the concept of outsourcing one step ahead. The companies need not outsource their customer service operations to a single company. They can maintain a team of virtual, well qualified and experienced agents. The agents for their part can work from their cozy homes accessing the company phone lines with special software. This means their home computer is turned into a call center set up within no time at all. They can work on a designated and offer best help to customers from their kitchen table itself. The best thing is customers don’t even realize that they are talking to someone who is sitting half way across the world in his/her own bedroom! But there is a raging question: is virtual call center model perfect for all business models? No model can be perfect for all businesses. So, read through the below details and make your mind. Cost Effective: All the agents involved in the virtual call center process work from their cozy homes so there are no overhead costs involved of managing a brick and mortar operation space. A research by Cisco found that a certain company saved no less than $227 million a year by using the virtual model. This same study also revealed that the productivity of agents is higher when they are working from home. Lower Employee Turnover: Brands around the world really struggle to keep their call center agents glued to the company. There is a huge expenditure that goes in because of employee turnover which can be measured in terms of costs regarding training and recruitment of new agents to fill the vacated slots. So, the virtual call center model is great to retain employees and save the costs. Flexibility in Process: You are no longer restricted to certain geography; you can recruit the best group of agents no matter what their geographic location is. As the agents are located in various time zones, it can help you extend 24X7 services to customers. Catastrophe Protection: In times of natural disasters or power outages your operations can go on as usual. Your business is least dependent on the geographic location. Reducing Agent Stress: The agents can work with a fresh mind as they do not have to wake up in the morning and commute all the way to work. All they need to do is switch on their computer and start working. So, there is no stress on the agents. Lack of Direct Oversight: There is need to determine a way to measure the virtual agent’s productivity or efficiency. Some companies pay agents only for the calling time when they are engaged with the customers. Issues with IT Support: The only connection agent has with the company is via software. If anything goes wrong in the process then the IT support has to intervene and the things have to be mended remotely. No Team Spirit: The agents belong to different geographies and they never see one another. None of them knows the name of another, so team spirit is not the strongest point of the virtual call center model. Chances of Miscommunication: There is a gaping cultural divide between the employees and the company management. The communication styles for each culture are different. So there is a high probability of misunderstanding. Challenges with Agent Training: No matter how experienced agents you have chosen for the processes, there is always a need for initial training where information about the products or services is imparted. The virtual call center model poses a huge challenge in this regard, and the companies have to prick their brains and come up with something creative. As you can see there are both benefits and drawbacks of the virtual call center model. It is up to you how you can overcome the challenges and implement the new model. How can Interactive Voice Response enhance the growth of your business? Amelia Robert is a customer service manager associated with Vcall Global. The organization she works for offers variety of services including call center solutions, telecom billing solutions, software development services and IVR services. Her association with the contact center industry began five years back when she started working as an agent with a customer service company. Her writings bring out the insight that she has been able to develop because of her experience and understanding. Why Back Office Support Services Should Never Be Ignored?